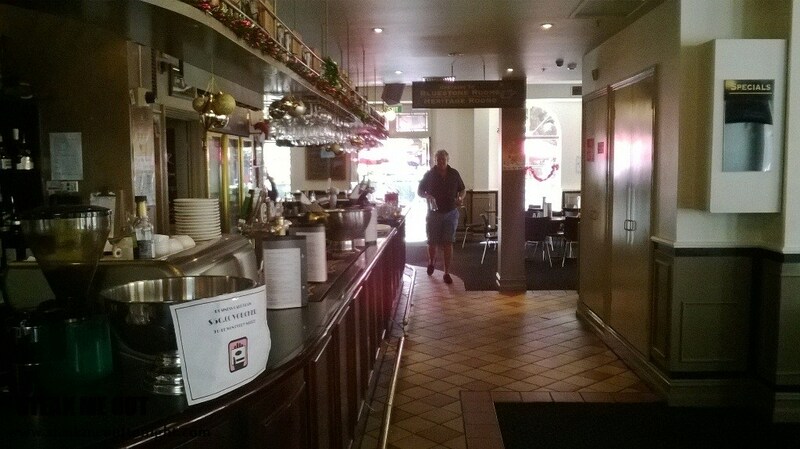 The Coopers Inn is known for their parma. It’s a fact, everyone knows it. I was under duress when my friend said he didn’t want to walk far for a feed and wasn’t too sure if they did the same for a steak but suggested it anyway. We walked in there and I knew my order straight away, a 300g porterhouse cooked rare with chips and salad of course ($26.50). I was so hungry at this point I didn’t really pay attention to what my friend ordered but it seemed to be some sort of burger or sandwich when it came out 20 minutes later. 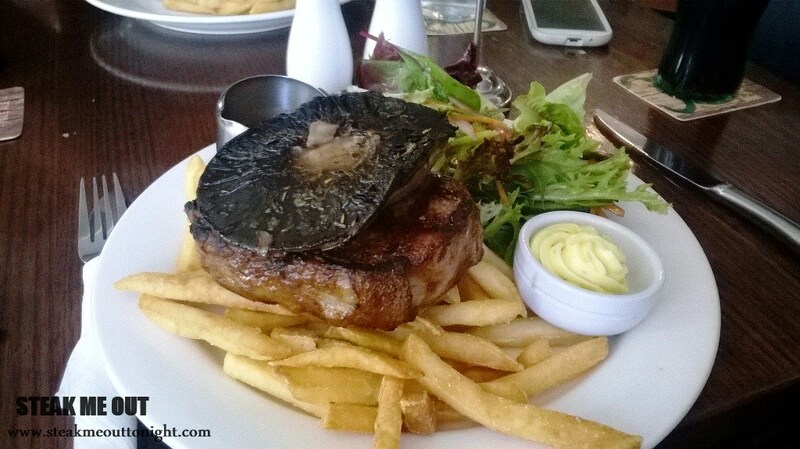 My steak smelled of sweet char and smokiness and to my surprise was served with a grilled portobello mushroom on top. I was so hungry that the aroma was torture to my stomach as I did my pre-dine pictures. On tasting it had a generous amount of salt, possibly a touch too much, while the absence of pepper was clear. While it was smokey and charred but there was something missing, the only thing I could attribute it to was the actual beef being light, the taste of the steak however did leave a sweet linger in your mouth. They nailed the cooking with it being rare through and through. The tenderness was slightly lacking due to the leanness of the porterhouse cut they served, but for the price you can’t expect it to melt in the mouth. 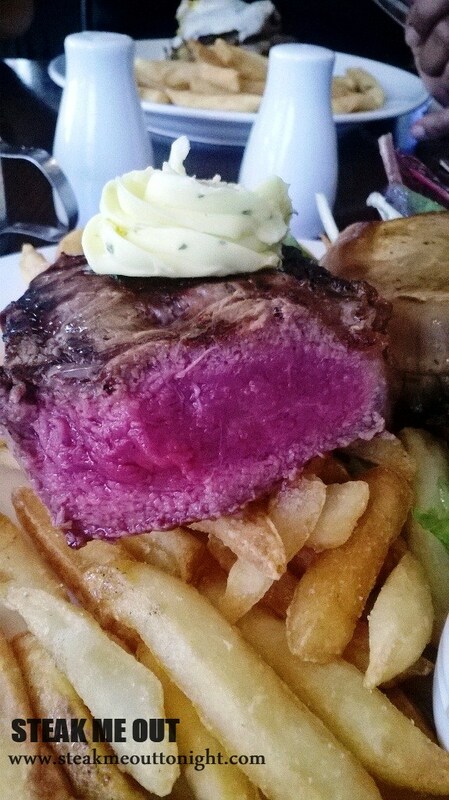 I like The Cooper Inn, its close, cheap(ish) and does decent food, with their steak (and Parma) being no slouch. 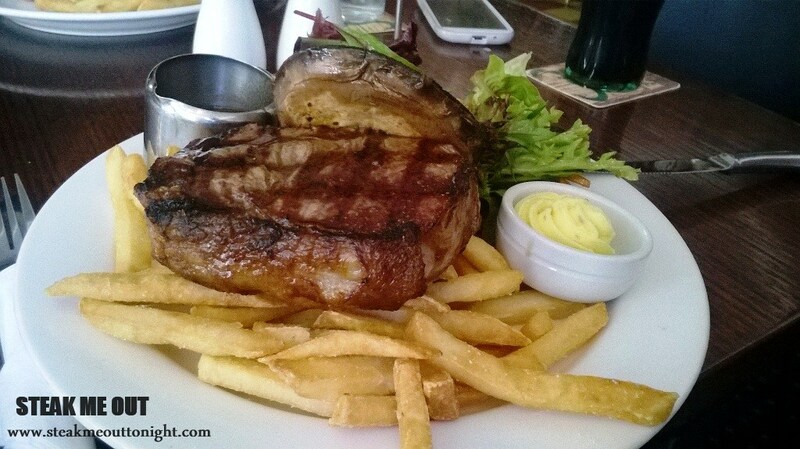 Posted on February 12, 2014 October 13, 2015 by AdrielPosted in Melbourne, SteakTagged Good, Melbourne, Moderately Priced, Porterhouse, Steaks.